Ladies and gentlemen, the Oscar season has begun. With the Fall Film Festival season kicking off this week, the awards contenders are about to emerge. 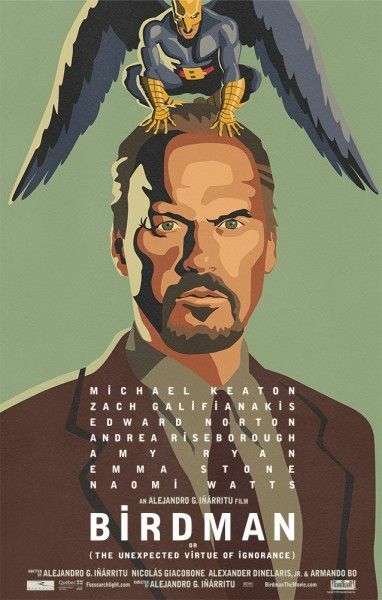 I’ll have a full rundown of the potential players in a new Oscar Beat coming shortly, but for now we have the first Birdman reviews for director Alejandro González Iñárritu’s highly anticipated black comedy, which just premiered at the Venice Film Festival. For those unaware, the pic stars Michael Keaton as an actor who once played an iconic superhero, and now faces troubles with his ego and family as he prepares to mount a Broadway play in a bid to reclaim past glory. This has been high on my most anticipated list for some time, and I’m happy to see that the first reviews out of Venice are positively glowing, heaping praise upon Keaton’s lead performance and Iñárritu’s ambitious one-take style, and predicting a heavy awards presence for the film overall. 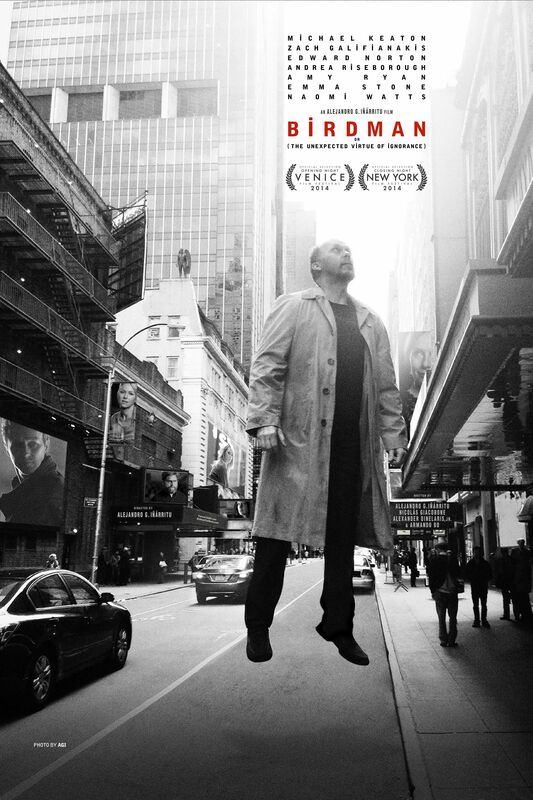 Since the film doesn’t open stateside until October 17th, we’ve rounded up some highlights from a few of the very first Birdman reviews for your perusing pleasure. Hit the jump for an overview of the reaction. The film’s exhilarating originality, black comedy and tone that is at once empathetic and acidic will surely strike a strong chord with audiences looking for something fresh that will take them somewhere they haven’t been before. Keaton soars perhaps higher than ever as a thespian with something to prove when not wearing a funny suit. Casting any sense of vanity out the window — every vestige of aging skin and thinning hair is revealed by the camera — the actor catches Riggan’s ambition and discouragement and everything in between. It’s as if the already legendary opening 13-minute take in Gravity had persisted through the entire movie. It’s no coincidence that the same cinematographer, the incomparable Lubezki, shot both films, although the effect here is very different; as lucid and controlled as the camerawork may be, it’s also bold, propulsive, even raw at times and invariably in the right place at the right time to catch the actors as they dart in and out, get in each others’ faces or ponder the effect of what they’ve just said or done to someone else. In a year overloaded with self-aware showbiz satires, Alejandro G. Inarritu’s fifth and best feature provides the delirious coup de grace — a triumph on every creative level, from casting to execution, that will electrify the industry, captivate arthouse and megaplex crowds alike, send awards pundits into orbit and give fresh wings to Keaton’s career. Norton very nearly steals the show from Keaton at one point. 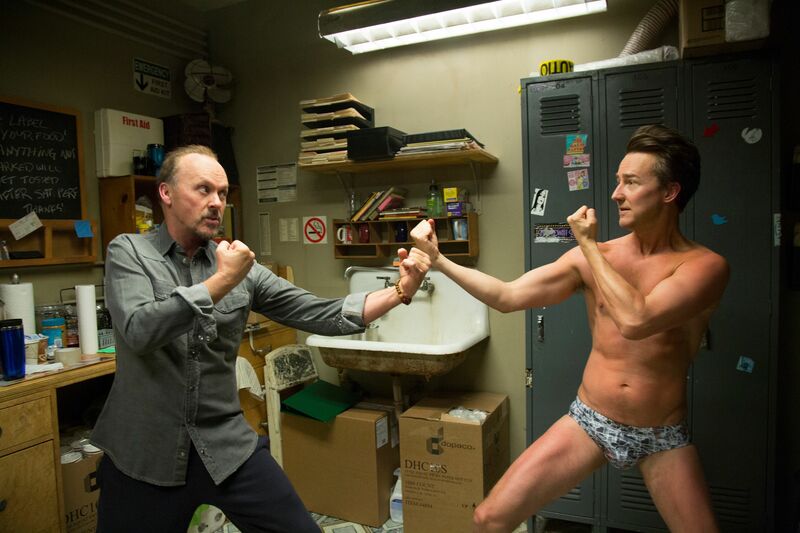 Revealing body and soul alike, both stars are inviting us to laugh at aspects of their real selves, though Norton initially seems the more impressive actor, amplifying his own intense commitment to realism to absurd extremes. Nothing in Iñárritu’s back catalogue can prepare you for this new direction. Many an auteur has switched genre and mood; seldom have we seen such a total change of sensibility. If it resembles any film at all, it’s probably Charlie Kaufman’s Synecdoche, NY but with a lighter heart and a sly grin. Because here, Iñárritu, who in the past has been nothing if not sincere to the point of self-seriousness, suddenly shows us not just his anarchic, uproarious, mischievous sense of humor, but an almost impish delight in the further possibilities of a medium he’d already mastered. Stone’s is the plum female role. 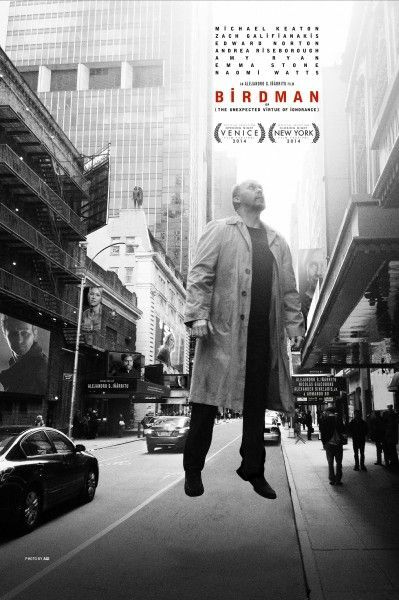 There’s the faintest sense of disappointment that none of the female roles amount to all that much in the final analysis, despite top drawer performances from Watts, Stone and the wonderful Amy Ryan (The Office, Gone Baby Gone), and that’s sort of fine – it’s Keaton’s show. But none of them get to have quite as much fun as the male secondary roles, either. It’s inconceivable that Lubezki’s cinematography won’t be nominated. Equally, Keaton brings a likable comeback narrative to the table, and much more importantly, a brilliant performance – count on at least a nomination for him. A second Best Director nomination for Iñárritu is a strong possibility, as are Screenplay and Editing nods (the genius of the editing here being its invisibility), and while Birdman might not take home Best Picture, I’d be genuinely shocked if it wasn’t nominated.